Let me outline the advantages of a Rain Gun over flood irrigation and over drip irrigation. A Rain gun is a micro irrigation device that helps conserve water. You could read more about SAPL's brand of Rainguns - The Varsha RainGuns. It saves more than 50% of the water used by flood irrigation. It saves electricity. In future if farm motors come under unit rating, Rain Gun will save nearly 75% of the electricity. Increases life of motor / pump. As 1⁄2 acre could be irrigated within 1 1⁄2 hours, the total extend of area irrigated per day nearly doubles. So, if a farmer cultivates 5 acre sugarcane with his available water and pump in flood irrigation, he can cultivate 10 acres of land by using Rain Gun with the very same availability of water and pump. In flood irrigation, more than 75% of the water goes as percolation loss (say 25% of water is available at E.R.D). In any agriculture, the top soil is more fertile (for this only we apply fertilizers and manures). In flood irrigation, the fertility in top soil is washed away and goes as percolation loss i.e. the top soil is leached away. In Rain Gun irrigation as we irrigate only upto the E.R.D, there is no percolation loss or leachin g.
Rain Gun Irrigation plays the role of Nitrogen fixation. One of the major nutrient plant requires is Nitrogen. Atmospheric air contains 78% of nitrogen. As our Rain Gun resembles Rain, the water dissolves the nitrogen from air and gives it to soil, thereby adding nutritive value to soil. This is one of the reasons for increase in yield. Reduces pest and insects attack: Pests and insects get washed away during Rain Gun irrigation. In flood irrigation, farmers usually open the delivery at one corner of the field and it goes to the next corner and entire field by gravity. In well-grown sugarcane fields, farmers are unable to go and inspect if the entire field gets uniformity in irrigation. If there is any undulation in the topography of the land, water may not reach to that part, where as in Rain Gun irrigation, the uniformity of the entire field is ensured. Easier application of fertilizer and pesticides. In well grown sugarcane, farmer feel very hard to spray in the interior field. In our Rain Gun, with a help of a fertilizer tank and a venture assembly, fertilizers and pesticides can be sprayed easily without any labour. Less Cost: For one acre of Sugarcane installation of drip cost around Rs.24,000/-, whereas by using Rain Gun System, the cost comes round Rs.14,000/- only. If a farmer owns 10 acres of sugarcane if he is interested in drip, he has to install drip for the whole 10 acres at a cost of Rs.2,40,000/- where as if he use Rain gun, with a single Rain Gun he can irrigate 10 acres of land by shifting the gun properly. 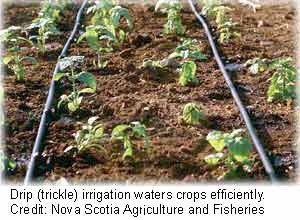 Drip irrigation cannot be shifted. In drip, the water oozes out through a small hole less than 1 mm, which gets clogged by the calcium carbonate and other chemicals available in water. So, after a period of one year most of the drippers get clogged. In Rain Gun, there is no clogging problem irrespective of the quality of water. An intercultural operation in a drip field is a task, whereas it is easy in Rain Gun irrigation. thank you for sharing with us this information. 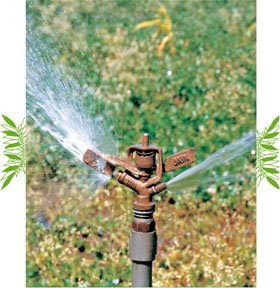 Rainguns are very useful irrigation technic for people who have big gardens. rain gun to irrigate sugarcane feilds it highly one sided fools argument to sell his rainguns becoz we have used it in sugarecane feilds the yeild is very less and also were u get workers to move rainguns in 3 to 4 feet grown sugarcane nobody will go to do this,6 rainguns are kept in backyard with no use since it cant be usedfor small crops such as onion and garlic.waste ofmoney dont mislead farmers for ur profits..and drip irrigation may be answerhas it wont require less workers and silt can be easily cleaned by using some anti-salt agents along with water once 3-6 months at outlets ..tried and tested even for yeids also..i am framer son not any agency worker using drip irrigation for 25 acres banana ,arcanut and 20acres sugarcane.